The aisle of Kiev Market. This German, Austrian and Bosnian grocery store sells a variety of food products from those countries, and makes all of its desserts — including marzipan and baklava — from scratch. Specialities like Turkish coffee, spaetzle, schnitzel, goulash, German potato salad and cabbage rolls are all served regularly for lunch service. Here you'll find plenty of pantry staples for Japanese and Korean cooking, along with a wide selection of vegetables, noodles and kimchi. Local shoppers praise the market for its selection of breads and pastries and for stocking tough-to-find items like seasoned fish cakes, chili pastes, Asian beers, rice cakes, tapioca pearls, Pocky sticks and other packaged, imported goods. This market (often referred to by locals as one of its past iterations, Bay Oriental Market) carries a variety of mainstays used in Asian cooking, along with imported packaged foods and produce from countries around the globe, including Australia, Brazil, China, France, India, Indonesia, Japan, Korea, Mexico, the Philippines and Vietnam. This longtime Spokane institution specializes in cured meats, like prosciutto, pancetta and salami and hard cheeses imported directly from Italy. It's also known for its housemade marinara and wide selections of imported pasta and wine. Cassano's also operates an in-house deli counter and a catering kitchen. This local mini mart is stocked full of Middle Eastern delights like dried dates, baklava and other traditional ingredients, such as fava beans, olive oil and halal foods. With two locations in the Spokane area, De Leon Foods stocks a massive variety of traditional Mexican and Latin American products — cheese, milk, yogurt, sour cream, Mexican sodas, candy, salsa, condiments and more — and is home to a full-service bakery, deli and an authentic Mexican restaurant. 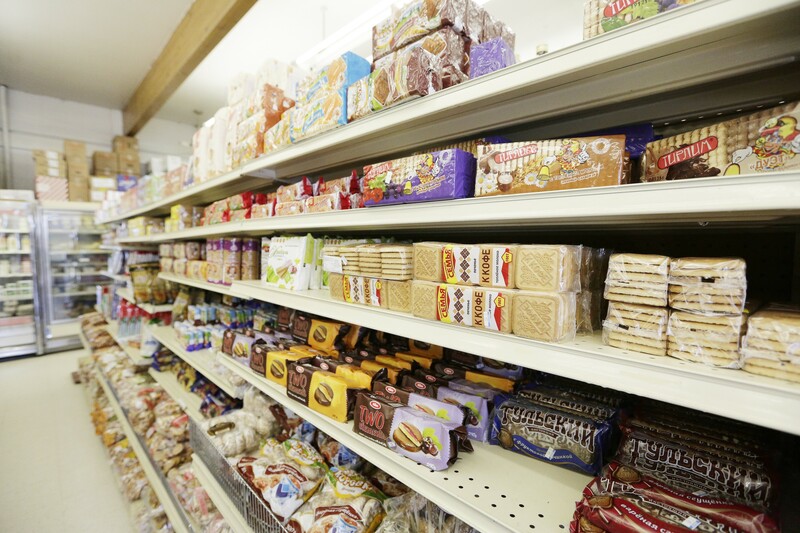 This Russian market with shelves full of treats and products from all over Europe also has a bakery that serves fresh-made cabbage, potato and meat-filled piroshkis. Don't miss out on their dine-in promotion, which earns your 10th drink or meal (up to $6) free when you grab a punch card. This market sells traditional ingredients and brands from Russia and nearby countries, along with a variety of breads, herbal extracts and vinegars. Kiev also sells halva, a fudge-like candy made out of sesame paste, by the pound. This authentic Mexican restaurant (i.e., not Americanized) serves lots of tasty dishes including pozole, nopales, enchiladas, tacos and tortas, the latter served on house-made tortillas. Stop by on Taco Tuesday for $1.50 street tacos. La Michoacana also houses a mini mart with traditional Latin ingredients so you can try your best to replicate the restaurant's flavors at home. This family-owned and operated Asian market opened back in 2004 and has become known for offering hard-to-find items commonly used in authentic Asian cuisine, and at fair prices that beat even those of big online retailers you might think of turning to for such products. Owners and staff are happy to answer questions and help shoppers find what ingredients or products they're shopping for. This is a popular go-to for fresh fish, ice cream treats, hummus, cheese, milk and other products from all across Europe, including bread and meat. The market's full-service bakery regularly fills custom orders for cakes and bakes fresh pastries and other desserts daily. This Middle Eastern grocery store sells a variety of frozen foods, meats and Mediterranean dairy products like Gaimar brand milk cream spread and Valbreso brand feta cheese, as well as traditional herbs and spices like cardamom, tandoori and za'atar. Here you'll find smoked fish, imported sausages, jars of pickled eggplant, cheeses and dumplings, along with shelves stocked with freshly baked rye bread, cakes, chocolates and specialty food from Russia and all across Europe. This market, deli and bakery sells bulk ingredients at wholesale prices — flour, sugar, gelatins, pudding, rice, beans, spices, nuts, dried fruit and more — along with specialty products such as Amish rolled butter, raw milk and farm fresh eggs. This market offers a wide selection of meats, sweets and branded, imported products from Russia, Germany, Bulgaria, Ukraine and Israel. The deli is praised by shoppers for regularly giving out product samples and for its friendly, helpful staff. This is a one-stop-shop in North Idaho for organic and natural Korean, Chinese, Thai and Japanese ingredients and snacks. The shop also offers an extensive selection of green and oolong teas, energy supplements, Asian diet food products and spices. The business also offers lessons from trainers in karate, judo and other traditional schools of martial arts and self defense, along with uniforms, protective gear and even weapons. Locally owned since 1977, this Asian foods market sells a variety of specialty produce, including persimmons, pomelos and lychee and other ethnic products, such as ramen noodles. Local customers praise the market's staff for being helpful and friendly when answering questions and recommending products. This Asian grocery store serves the Moscow area with fresh vegetables and other traditional ingredients at affordable prices. Shoppers will also find items like spicy pickled bamboo, sesame paste, tofu, kimchi and many other packaged, imported snack foods. This Asian market on the Palouse stocks ingredients needed to make a variety of authentic dishes, including items such as samyang spicy cheese noodles, kimchi, butter chips and a wide selection of oils and spices. If we inadvertently left off your favorite international market, please tell us. Email us information at food@inlander.com. The original print version of this article was headlined "Spice It Up!"